Kremlin critic Bill Browder says common sense has prevailed with Interpol's decision to bypass a longtime veteran of Russia's security services and choose a South Korean as its new president. Browder spoke out against Alexander Prokopchuk's candidacy, saying it would intensify President Vladimir Putin's efforts to use Interpol to hunt down critics, undermining the international law enforcement agency. Russia denies accusations of foreign interference and announced new charges against Browder this week in a long-running legal battle against him. Browder says the charges were a "gift" to those trying to block a Russian presidency because it focused attention on the vote. Browder told The Associated Press on Wednesday that "Common sense has prevailed in a dark world. This is a real humiliation for Putin, who thought he'd get away with it." 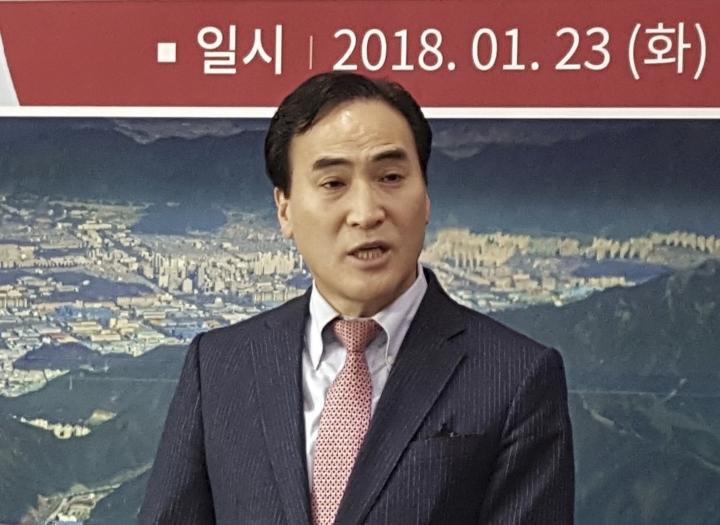 Kremlin critic Mikhail Khodorkovsky, who warned about the Russian candidate for the Interpol presidency, is hailing the election of the South Korean nominee as a victory. Khodorkovsky, who spent 10 years in a Russian prison on charges viewed as politically motivated, had warned that the Kremlin could use Interpol to go after its opponents if Alexander Prokopchuk was elected. Khodorkovsky said in a tweet on Wednesday that the election results were a "common victory." Khodorkovsky said that "common sense has prevailed. The Kremlin was trying to get their man in — the one that has been helping the authorities for many years to persecute their opponents." South Korea's president says he's "very proud" of the fact that fellow national Kim Jong Yang has been elected as Interpol's next president. President Moon Jae-in tweeted from Seoul on Wednesday that Kim is the first South Korean chosen to that top Interpol post. Moon said he's sending a congratulatory message to Kim along with all South Koreans. South Korea's police and foreign ministry issued a joint statement saying Kim is an international specialist with "great leadership" and "a vast human network." The statement quoted Kim as saying that his election is a "national triumph" that he expects to elevate South Korea's international standing and role. The spokeswoman for the Russian interior ministry says that the Russian candidate for Interpol president who lost the election will continue to work as the international law enforcement body's vice president. Russian police official Alexander Prokopchuk, who was opposed by the U.S., Britain and other European nations, lost the vote Wednesday to Kim Jong Yang from South Korea. Irina Volk told the Interfax news agency that Prokopchuk will retain his position and continue to "focus on advancing the stature of Interpol in the international police community and making its work more effective." Kim will serve until 2020, completing the four-year mandate of his predecessor, Meng Hongwei, who was detained in China as part of a wide anti-corruption sweep there. The Ukrainian interior minister is calling the election of a South Korean candidate to lead Interpol a victory for his country. Ukraine, along with Western nations and Russian opposition figures, staunchly opposed a Russian police official who was also in the running for president of the international law enforcement body. Kremlin critics raised the alarm about the Russian candidate, Alexander Prokopchuk, fearing that he could encourage abuse of Interpol's warrant system. Ukrainian Interior Minister Arsen Avakov tweeted Wednesday from the conference room where the vote was held, saying "The Russian candidate has been rejected. This battle is won!" South Korea's Kim Jong Yang has been elected as Interpol's next president, edging out a longtime veteran of Russia's security services who was strongly opposed by the U.S., Britain and other European nations. The White House and its European partners had lobbied against Alexander Prokopchuk's attempts to be named the next president of the policing organization, saying his election would lead to further Russian abuses of Interpol's red notice system to go after political opponents. 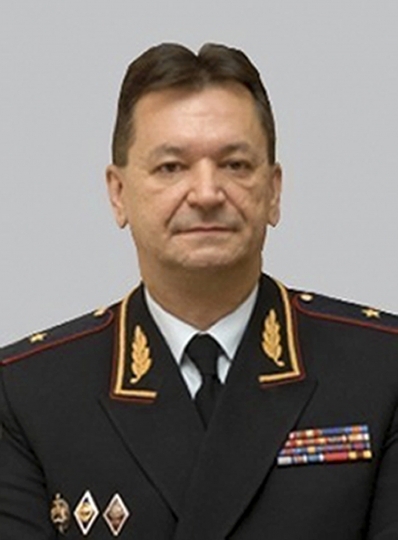 Prokopchuk is a general in the Russian Interior Ministry and serves as an Interpol vice president. Kim's win means he secured at least two-thirds of votes cast at Interpol's general assembly in Dubai on Wednesday. He will serve until 2020, completing the four-year mandate of his predecessor, Meng Hongwei, who was detained in China.